Kaffir Boy – My never-ending search for auto-ethnographic texts (stay tuned for a post on this in the future), led me to this classic. Inspired by Richard Wright’s Black Boy, Kaffir Boy is an autobiographical narrative that explores Mark Mathabane’s childhood during South Africa’s apartheid. Introspective and analytical, this novel is simply captivating. 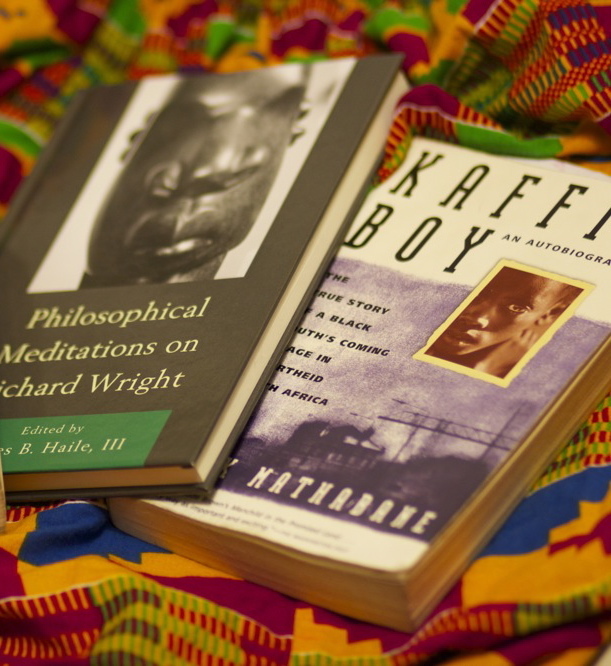 Philosophical Meditations on Richard Wright – Written by one of the authors of this blog *winks and looks over at him*, this text explores Richard Wright from a philosophical, psychological, and sociological perspective. Although this book is written for academics, I found it to be very engaging and even paradigm shifting in terms of perspective on Wright’s work.